Flexzilla® Stationary Air Compressors with Quiet Technology™ and Silencer™ noise suppression operate at noise levels no louder than a normal conversation. material that redefines flexibility for ease of use. and offers extreme all-weather flexibility. 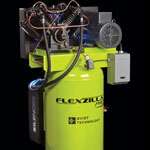 The Flexzilla® Pro Custom Hose Center is the ideal way to offer customers custom length air and water hoses. Our Bulk Hose Program adds to the flexibility. 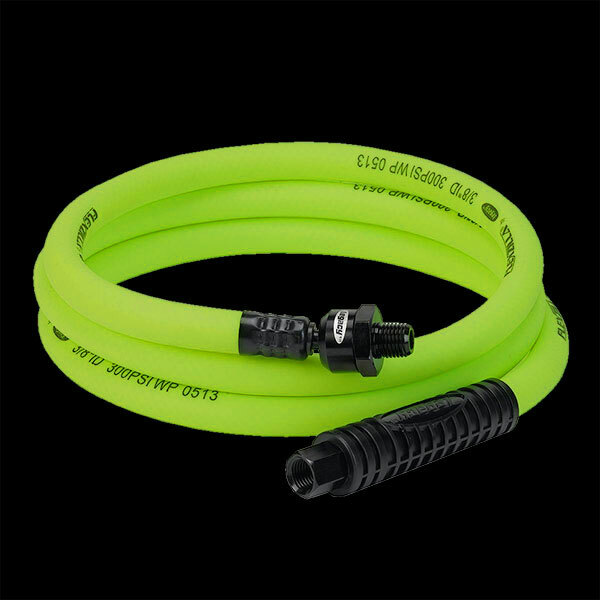 Flexzilla® Polyurethane Recoil Air Hose exhibits extreme, all-weather flexibility and outperforms nylon hose. Quickly repair Flexzilla® Air and Water Hoses or create a custom length air hose in 3 easy steps. 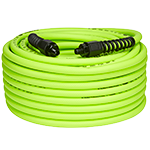 A shorter Flexzilla® Whip Hose adds longevity to the main hose and eliminates the weight of the coupler/plug to lessen user fatigue. 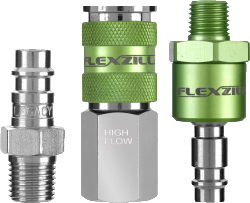 Flexzilla® Pro High Flow couplers and plugs double the amount of air flow to your tool. Don’t starve your air tool! Flexzilla® Air Hose Reels coil the hose smoothly and have a stopper and a latch switch for easier use. Proving once again you don’t have to be big to be powerful! 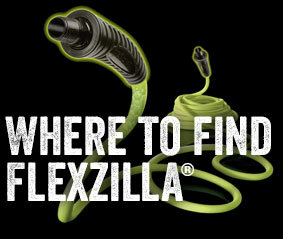 Flexzilla® Pro Air Tools pack high RPM and maximum torque into the lightest, most compact air tools on the market. 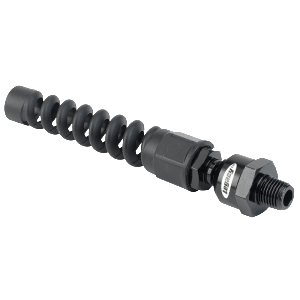 Unique to the Flexzilla™ Blow Guns and accessories is the modular accessories system, allowing you to customize the gun extension length and tips for every application. Truck tire inflator kits use truck’s on-board air supply to inflate tires in remote situations.